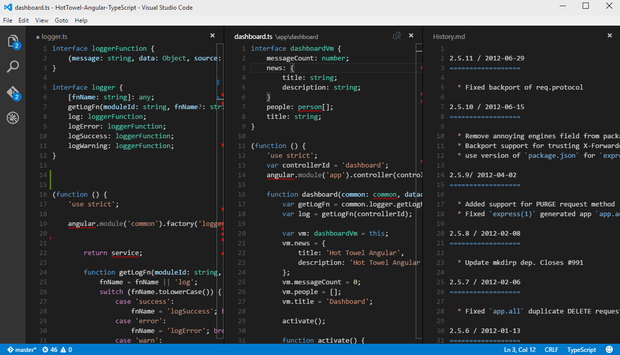 Microsoft is showing even more cross-platform love as they release a new code editing program called Visual Studio Code - available for download today on Windows, Mac OS, and Linux. Not to be confused with Visual Studio, the world class IDE, Visual Studio Code is more Sublime Text or Notepad++ than full IDE. That's not to say it isn't a capable editor however, it's got plenty of tricks up its sleeve. 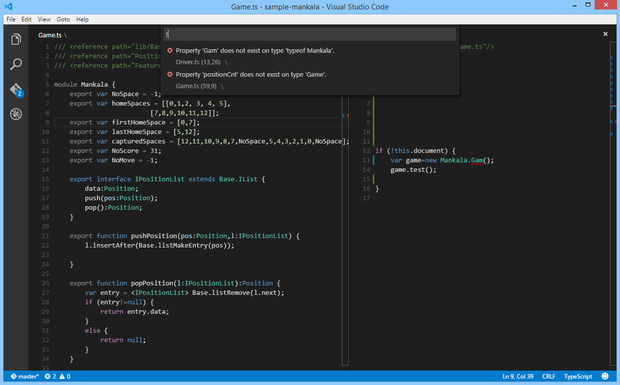 Code is a different type of editor. It's much more lightweight than a full IDE, but provides powerful features like a debugger (currently for node.js, ASP.NET 5 and more coming soon), syntax hilighting for dozens of languages, intellisense, git integration, bracket matching, and more. It even has parameter hints for PHP! Many of these features can be added as plugins to Sublime Text, but it's nice to have them neatly tied together in a single package. 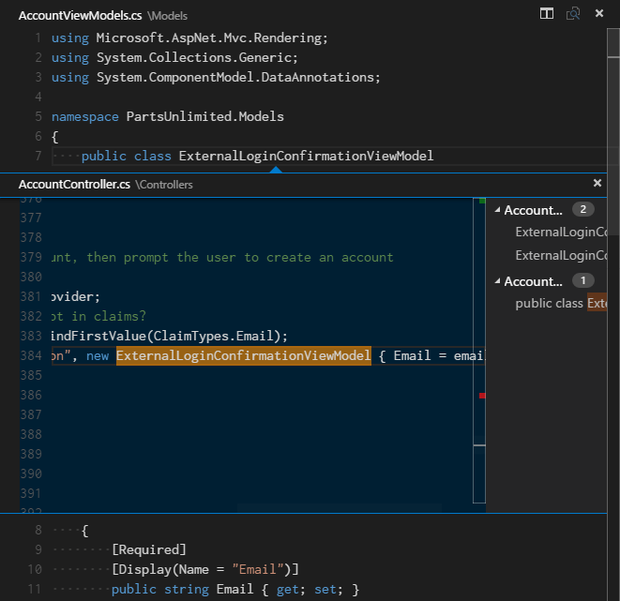 Once you've coded with these features you'll wonder how you've lived without them for so long, they're part of what makes Visual Studio the best IDE out there. There are keyboard shortcuts galore and a "Command Pallet", again like Sublime. There is also a fairly capable workspace function to help define your project files and navigate between them. There is also a Task system that lets you define and configure custom build tasks such as firing off, for example, Make, Ant, Gulp, Jake, Rake or MSBuild processes. At this point Code is just a preview of what's to come, but it's already a solid offering. I'll be making an effort to use it in place of Notepad++ for script editing to see how that goes, but the current lack of FTP support, or any plugin support for that matter, might hold back its usage for a while. On the other hand, it will immediately become my editor of choice on my Macbook. Head over to the project page and review the documentation to see what's available today and what will become available in the near future. 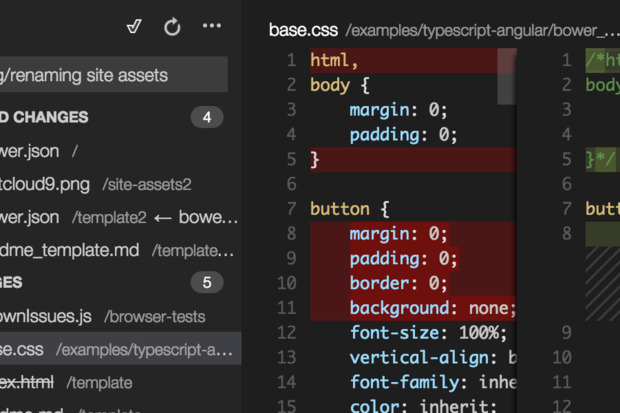 You can also cast your vote for the features you'd like to see added the most and help prioritize where the editor should go next.